iPhone is well-known to each and every one because of the company's efforts taken on the device to make it an outstanding one in the market. Ever since the year 2007, the year when first ever iPhone was launched, the device is been updated with various new features making it more attractive technically. And when 3D Touch comes into picture, the feature's name itself brought so much of excitement in the users that all of them were waiting for it eagerly. However, many users recently are dealing with various concerns about the iPhone's touch functionality. Users are worrying about the iPhone screen not responding to touch. If you are also facing the similar issue of "why my iPhone touch screen won't work? ", then below are the best solutions for you. Below are some of them listed for you. How to Fix iPhone Touch Not Working? 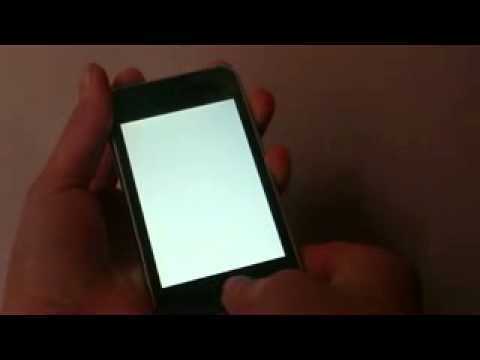 Solving iPhone screen unresponsive to touch issue is not a simply task. The error might be because of some software concerns or any malfunctioning of some hardware components. Below are some solutions for your "iPhone touch screen not working" issue. Solution 1: Clean iPhone Screen and Fingers. Are your Fingers Wet? Since iPhone's screen is extremely sensitive to the touch, Apple has designed the feature of touch in such a way that it has taken care of its users' requirement. However, if you are dealing with "iPhone 6 touch screen not working" problem, you first require to verify whether the device's screen is free of any kind of dust and is clean. The dust and dirt on the device's screen must be defying the touch and further causing the touch problem. Additionally, check whether you have clean and tidy hands while using the touch of your iPhone. Oily, dirty, or wet hands can create issue any a times. Solution 2: Wearing Gloves? iPhone has Screen Protector? Remove Them. Apart from untidy screen and wet hands, other common things to remember while using an iPhone without any touch issue is to avoid brining any kind of barrier between the device's screen and your hands. In case you are wearing gloves, it is hard for the iPhone to recognize your touch and hence it is unresponsive. Also, if you tend to use a screen protector to protect your device's screen, the screen protector will also bring complications in the working of touch feature. Hence, remove them and check if the issue is solved. 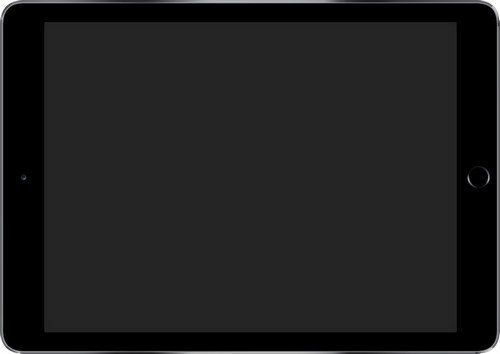 If you are still dealing with "iPhone 7 touch screen not working" issue, you should check if it is due to any specific app that is causing the iPhone's screen to freeze and making it unresponsive. The best to get this problem solved is to simply remove such faulty app from your device. Below are the steps to remove the faulty app from your device. Step 1: Go to Home screen and press and hold the app's icon to be deleted. Continue holding the icon until the app starts shaking. Step 2: An "x" symbol will be seen. Click the "x" symbol and delete the app. Tips:App Crashing on your iPhone? Check how to fix crashing app on iPhone/iPad. If you are yet haven't solved "touch screen won't work on my iPhone" problem, there are chances that the issue is the outcome of some software problem or failed/bad update. Herein, you can try solving the issue with a simple restart of your iPhone. The restart will help eliminate any software problems and help resolve the issue. Follow below steps to restart your iPhone. Step 1: Press and hold the Sleep button. 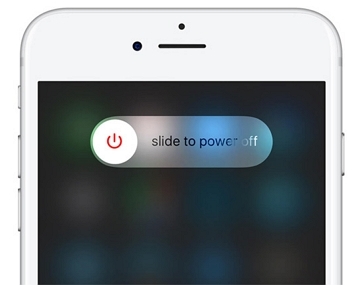 You will see "slide to power off" option on the screen. Step 2: Simply slide the slider so as to turn off your iPhone. To restart your device, press and hold the Sleep button once again. Let it go when you see the Apple logo. If a restart does not work, try performing a force restart on your device. Sometimes, the 3D Touch is also causing the iPhone touch screen problem. For this, simply adjust the 3D Touch sensitivity by below steps. Step 1: Go to Settings >> General >> Accessibility. Find the option of 3D Touch. Step 2: Here you can adjust the 3D Touch sensitivity to any of the 3 options provided—Light, Medium, or Firm. Else you also have an option to switch off this feature. Sometimes, the orientation lock can also malfunction and result in your iPhone's touch feature issue. For this you can check the orientation lock by below simple steps. Step 1: Double tap the Home button. This will open up the multitasking screen. Make a right swipe in order to see all your device's controls. Step 2: To the extreme left, you will find a button with a symbol of rotating arrow. Click the rotating arrow to lock the iPhone's present orientation. Another method to solve "iPhone screen active but not responding to touch" issue is to update your iPhone's iOS. Every update has some special feature that can help you solve the issue you are dealing right now. Follow below steps to get your iPhone's iOS updated. Step 1: Go to Settings >> General >> Software Update. Step 2: click download to get the latest iOS version. Once the installation process is done your issue will be solved. If the above 7 solutions do not get your problem solved, you can simply go for Any iOS System Repair -Any iOS System Repair (ReiBoot) . The tool with its "Repair iOS System" function will definitely solve your issue of unresponsive iPhone touch screen. The Repair iOS System function also provides support so as to get fixed numerous iPhone system related problems such as iPhone stuck on Apple logo, not charging, iPhone black screen and so on. The most important thing is, no data is lost during this process. Follow below steps to use this amazing tool. Step 1: Install and run the program on PC and connect your unresponsive touch issue facing iPhone to it. Choose Repair Operating System. Step 2: The latest firmware package is needed. Downloaded it using the option Download. Step 3: Click Start Repair. With this, the issue causing your iPhone's touch feature negatively will be solved and removed. The next solution to solve "iPhone touch screen not working" problem is restoring iPhone. Restoring your iPhone back to the phase where it used to work fine is another best option to deal with the situation. You can restore your device using iTunes However, all the data will be lost and you need to keep this in mind. Follow below steps to restore your device. Step 1: Launch iTunes and plug your iPhone to your PC. Enter passcode is required. Step 2: Select your iPhone in iTunes and go to Backups section. Click "Restore Backup" and choose the latest backup. Tap Restore and wait the process gets done. If none of the above work for you to solve the touch problem, you will need an Apple professional to get the issue solved. Hence, head towards an Apple store and contact Apple regarding the issue. They will verify the [problem and give you the exact solution required. We discussed the top 10 fixes for the issue "touch screen not working properly on iPhone". We recommend Any iOS System Repair (ReiBoot) to solve the issue. Let us know which solution helped you and also provide the feedback for the same in below comments.